I think when you start off doing nail art, one of the hardest things to master is the finer, more attention to detail designs. This is partly down to making sure that you use the correct tools but it's also down to practising the pressure that you need to get the line that's desired. 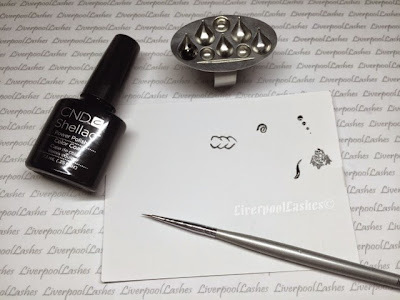 When I did the CND Additives Art & Style class last July, they started off by having us copy basic designs so that we could get used to the different techniques with the brush. I think that if you want to practise the skill then this is a great way to do so, grab a brush and a piece of paper and get started! 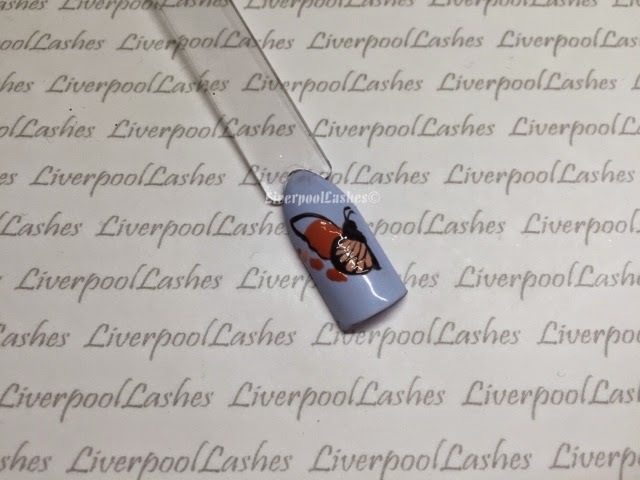 Of course the more you try this technique, the easier it is to get the consistent line by either applying to the same amount of pressure or perhaps a little less pressure as you lift the brush from the nail to create a tapered end. A great tip that I learnt is that if you have a brush that is slightly to wide and therefore giving you too wide a brush stroke, simply half the amount of bristles and snip one half off. Once you've practised on a piece of paper then the next thing I recommend is to try and pick something to draw that has a little bit more detail so that you can incorporate these techniques. In this case, I have practised painting a butterfly. I started off roughly mapping out with the colours of the butterfly would be which I find is a good way of making sure that the end result is in proportion. Once that's has cured, I then work in sections using a variety of pressured strokes to outline the butterfly and fill it in. 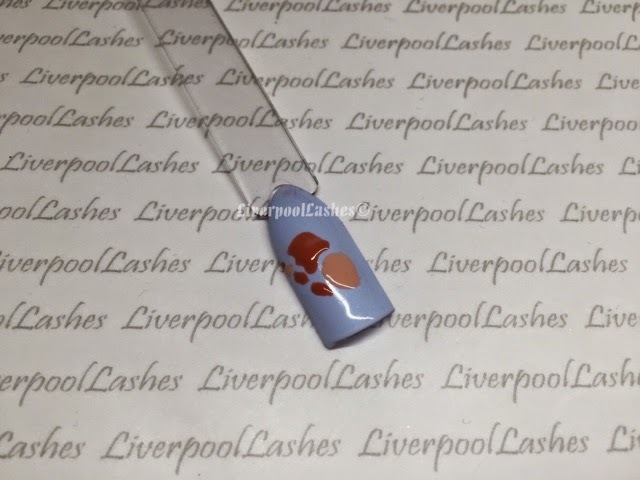 The final detail was to add the white dots which depending on the size you could use a dotting tool but because they are so fine, I actually use the tip of the detailing brush to apply them. For reference the colours are used for this butterfly were CND Shellac in Creekside, Black Pool, Salmon Run, Electric Orange and Cream Puff. 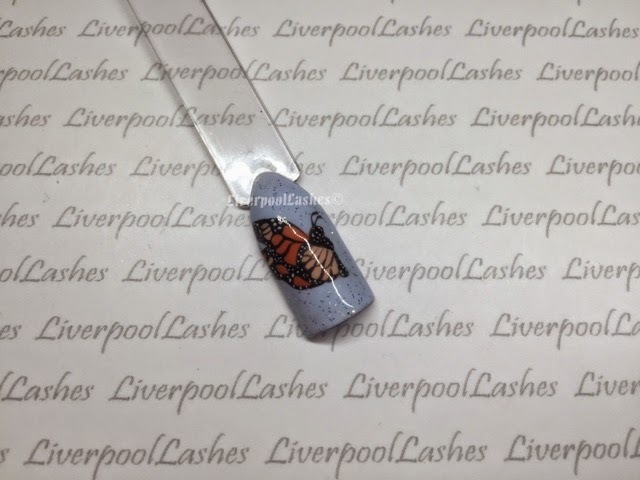 I also made a glitter paste out of the CND Additive in Hummingbird which I painted around the butterfly. The brush that I used is the Micro Style 0000 - click here for all of the details on it. It is ultimately about practise. 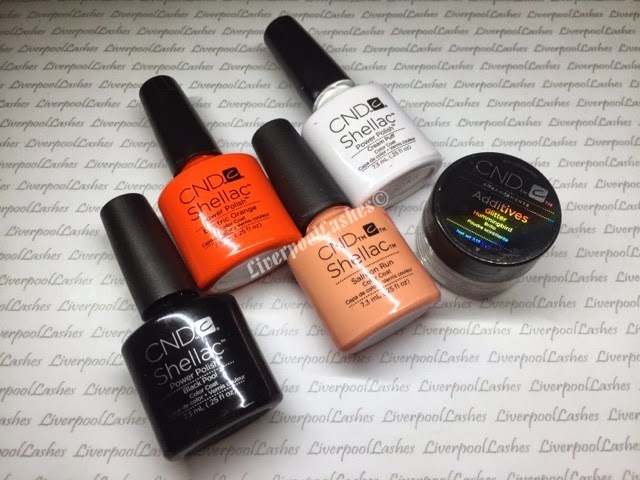 Using CND Shellac for nail art is fantastic and of course, if you're not happy with it you can remove it before curing! I hope you've enjoyed this post. Please don't forget to follow my Facebook Page to keep up to date with my latest nail tutorials, designs ideas and tips!